Estate Sales News proudly celebrating Flag Day June 14, 2017. 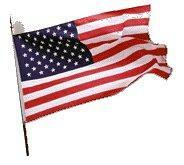 Click here for Flag Day information. Let us remember Memorial Day isn’t about sales of any kind. 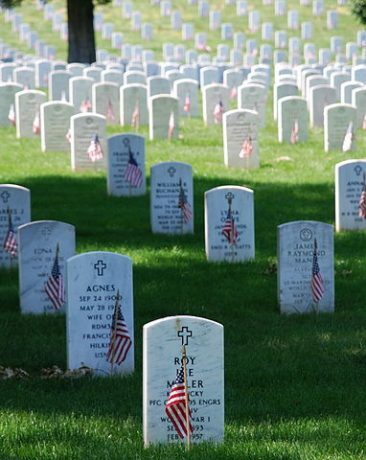 It’s about remembering those who have died in service to the United States of America. Let us take time on Monday to stand in silence and give thanks and remembrance to those who have been lost and the families and friends they left behind. This photo was taken at Arlington National Cemetery. Rows and rows are casualties from Iraq, Afghanistan and VietNam, and behind are Korea, and World War II. Men and women who sacrificed all. Over 300,000 and being added to five days a week. Recently my husband and I moved and although we have downsized and I was an estate liquidator in New Jersey I wish I had listened to my own advice and had an experienced estate liquidator help. Moving, downsizing and estate sale companies all fit together. Having an outside, detached individual or company can be so helpful. Although we all want to keep those most important keepsakes, an estate liquidator can be of great service. We wish now that had time and thought permitted we would have discussed our new digs and what we have. Instead we have over 125 boxes and some furniture in our garage that don’t have a home, we aren’t sure what is in each box and we are both still working. If you are getting ready to move, downsize call a reputable, knowledgeable and experienced estate sale company and explain your situation. 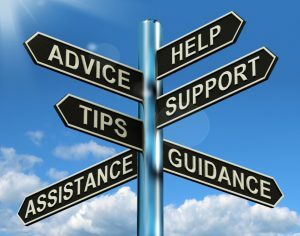 Seek advice and then if you feel comfortable arrange for an interview. We all have items we cannot part with, however, estate sale companies can be of great assistance to relieve stress and help. Don’t be caught short and left in a state of “what do I do with it now”. Estate sales can be the answer to so many problems. 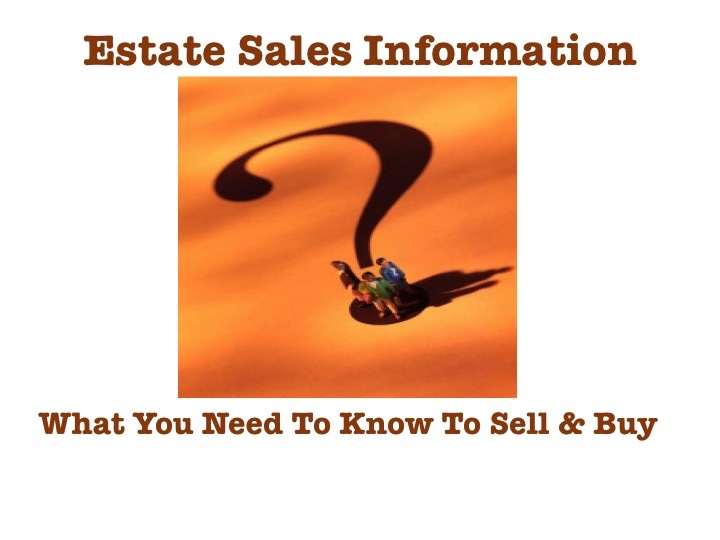 Estate sales have so many topics to cover and information to be discussed. This Sunday in Chicago I will be speaking at the International Society of Appraisers (ISA) Conference about estate sales. So many topics to cover in a short time, but I hope this will be informative and lead to an educational exchange of ideas and information. Appraisers are important to estate sales and estate liquidators, but the same can be said for the importance of estate sale companies and appraisers. The estate sale business has grown into such a large small business industry, that the number of topics and information needed to be successful requires continuous reading and education. Since I retired from the estate liquidation business in 2011 much has changed. Todays’ estate liquidator has to be concerned with the sale of ivory, liability insurance, disposal of hazardous materials, permits, mold, better security, greater use of social media advertising, where best to research items of value or the unknown, and how to do time management and the list continues and grows. There are many sources for information on estate sales available on the internet. We feel you should not, however, pay for that information. Buyers and sellers should be able to obtain reliable, knowledgeable and useful information for free. If you are obtaining it from any source that also collects fees from estate sale companies question what you are learning if you too pay for this information. EstateSalesNews.com celebrated our 4th anniversary this month. Although we have a small variety of diverse companies paying for advertising, this is to help defray our cost for our website out to enable a free resource for buyers, sellers, estate sale companies and the estate sale information and the topics we cover. We encourage you to sign up for our newsletter, utilize our free RSS feed if you are an estate sale company and follow us on Facebook and Twitter. We also have a Pinterest page and videos on YouTube. Estate sales that advertise items without showing pictures certainly is disturbing to buyers and sellers. Looking at estate sales and searching for items is a regular practice. What is disturbing is the written advertising includes items (many larger), but no photos are on the estate sale advertising listing website. We were looking today for vintage appliances and found one estate sale advertising a galvanized tub, but no photos were included. Advertising vintage items with no photos of a vintage tub, yet a photo of a walke. This is not good advertising. It is vital to a seller and to attract buyers that items of serious interest have photos on websites that advertise estate sales. Many estate sale advertising listing websites limit the number of photos or an additional charge is incurred. This should be taken into account by the estate sale company when deciding on their costs. Advertising items of interest in an estate sale, however, should have photos on advertising websites unless it is a security situation. 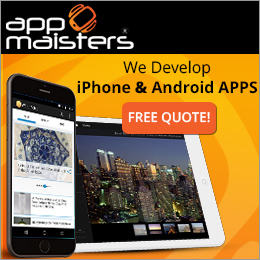 Sellers, if you are looking for an estate sale company ask to see their online advertising. Ask how they decide what is and isn’t important. Discuss what items of interest to buyers are in your sale and would they feature photos of them. Searching for items of serious interest that are included in the listing section of the sale without a photo on the website page is not good marketing and that is not beneficial to your bottom line. 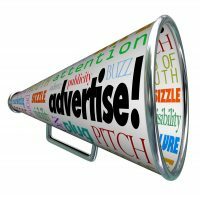 Advertising is a knowledge of marketing and requires experience. Anyone can post a list, but knowing what is of interest to buyers is the trademark of an experienced estate sale company. The top questions sellers ask about estate sales is based on our Google analytics. We offer this review with links to pages on our website to answer some of these questions. #1 Estate sale contract – what to know and expect. Estate sale contracts. #2 Downsizing or moving, estate sale or garage sale and what’s the difference. #3 Estate sale costs. What you need to know. #5 Estate sale clean outs – under estate sale contracts. On this Thursday as estate sales begin for another weekend we hope these top five EstateSalesNews.com topics answer some major questions. EstateSalesNews.com has been honored by asking to speak at this years International Association of Appraisers conference. We will be speaking about selling out the house and how to avoid the pitfalls of estate sales. The conference this year is in Chicago, IL. We will be addressing that conducting estates sales are a business, not a hobby. Understanding the estate sale contract. Why ISA (International Society of Appraisers). 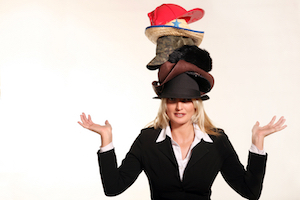 What to do with left overs from estate sales and wearing three hats for one client. We are excited to have this opportunity to speak about a subject we embrace and encourage and to such a prestigious group as the ISA. Today is the start of another weekend of estate sales and their are thousands taking place across the country. 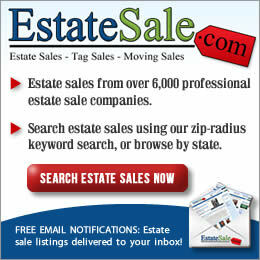 Please look at these websites for estate sales in your area. Support the US economy and buy at American estate sales. These sales are run by American small businesses. Their staffs as well as the liquidators spend their dollars here in America. Although many household items may have been made overseas, buying it from estate sale companies supports our small business owners and the people that work for them. 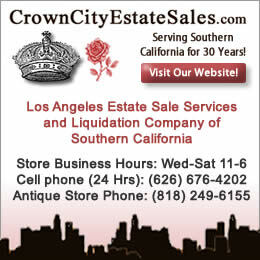 Several articles have been published lately about estate sales and all the items the reporters have said are selling. These articles are based on interviews with a few liquidators and a few auction companies. With 15,000 plus estate sale companies across the United States and more companies forming everyday, the interviews of a few do not speak to the majority. Yes, there may be some areas where estate liquidations aren’t producing the results hoped for, but there could be several reasons for this, including the number of estate sale companies in the area. We encourage estate sale companies to remind their buyers to buy American. After the recent election where millions of Americans wanted jobs brought back to the United States here is your opportunity. EstateSalesNews.com for 2017 has offered estate sales help for almost four years now. We have covered almost any topic you could think of. 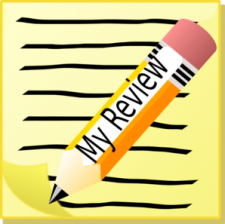 As we enter the winter season for much of the country let’s do a general review. Sellers – How to choose a estate liquidator, do your own due diligence, what to expect and what not to expect, estate sale contracts. Over 100 topics to think about and consider as a seller. Buyers- Buyers etiquette, where to find estate sales, how to enter an estate sale. 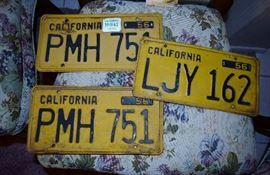 Having an estate sale kit and what to bring to an estate sale, and how to negotiate to with estate liquidators in an unoffensive and successful way. Estate sale companies – What to include in an estate sale contract, how to work with sellers that don’t understand the liquidation process. Where to advertise your estate sales. Using social media to be found and get your message out. Working and networking with other liquidators and appraisers. 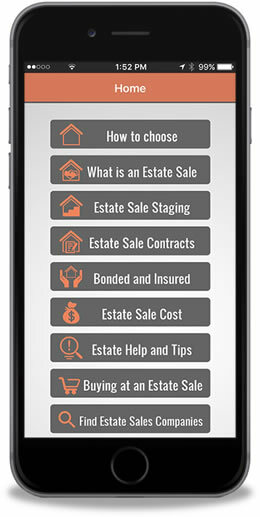 Where to list your estate sales. Working with a website. We have also covered estate sales of the rich and famous. All this information is in our archives along with videos and is free to assist you. 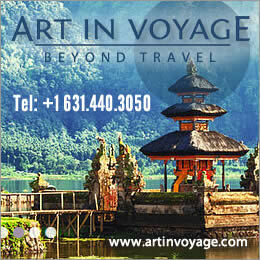 Our goal is and has been to educate and inform you without cost and provide answers and solutions. Liquidating personal property is a stressful experience whether you are downsizing or selling off a loved ones belongings. Estate sale companies wear many hats and the experienced companies that have great reputations understand what is required for success for all parties. We hope that as the number one internet source for estate sale information we provide you with the estate sale help you need. We no longer liquidate estates, but we use our twenty plus years of experience to hopefully guide you in the liquidation process. We welcome your thoughts, comments and suggestions. Please email us at carol@estatesalesnews.com. We will respond as soon as possible. Mid Century Modern is very popular. You may not see it on many of the reality TV shows now on HGTV, but buyers do. They even seek out mid century modern homes. 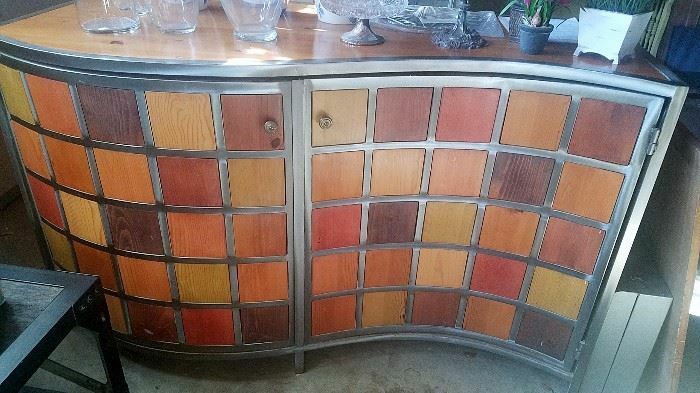 Crown City Estate Sales that serves Los Angeles and Orange County California has some wonderful Mid Century Modern pieces at an estate sale in Northridge, CA starting on January 14th. Here are a few photos and we have a link below to the sale. 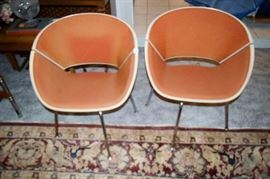 Click here for a link to this Mid Century Modern estate sale.